Vanessa elected to the Oklahoma Housing Hall of Fame Class of 2018!!! Vanessa Shadix, an associate member since 1991, immediately became involved on both the local and state levels with the homebuilders. She is a Life Spike (membership recruiter) and Life Director with the Central Oklahoma Home Builders Association. She is a certified instructor for the Oklahoma Real Estate Commission. She is a member of the Oklahoma Land Title Association, the Oklahoma City Metro Association of Realtors, and the National Association of Professional Mortgage Women. National Association of Home Builders, Associate of the Year Nominee, 2009; Women’s Council Member of the Year, 2010. • AMBUCS Rookie of the Year, 2008. • National Association of Professional Mortgage Women, Member of the Year, 2007.  • Central Oklahoma Home Builders Association Builder of the Year, 1998; Associate of the Year, 1999, 2002, 2008. • Oklahoma State Home Builders Association Woman of the Year, 2000; Associate of the Year, 2008. Vanessa was Central Oklahoma Home Builders Associate of the Year Twice.